More Science. Targeted Treatments. Real Results. Stop feeling frustrated with your health. Let us get to the root of your health problem so we can help you get well. More Science, Targeted Treatments, Real Results. so we can help you get well. Why are we the fastest growing naturopathic medical practice in central Alberta? "Dr. Johnson has been knowledgeable, analytical, and compassionate in his methodology and approach..."
Dr. Johnson has been knowledgeable, analytical, and compassionate in his methodology and approach to understanding what I need to gain back my health. The results are effective, as I have received a balance plan that I can work with and have experienced positive changes right from the start. Dr. Johnson has helped me to stay on track and know that my health goals are achievable. "The clinic came highly recommended and I continue to recommend it to family and friends." Dr. Johnson and the staff at Aspire are great. Dr. Johnson is thorough and attentive. He takes the time to listen and explain the treatment options. He has been conscientious of recommending tests or supplements that may not work or be worth the money spent. "The results so far are very impressive! ... decisions were based on real science"
I have been taking my son to Dr. Johnson for about 6 months now and it was the best choice I`ve made, regarding my son`s health. My son has Asperger`s and his anxiety had gotten out of control, as well as his moods. After many failed attempts with other medical doctors and naturopaths, I was recommended to see Dr. Johnson. His anxiety has been cut in half and his moods are for the most part far superior to what they used to be. He is also doing better in school as well due to his increased mental clarity. Most of the results came from diet change due to a candida overgrowth. What made me keep going back was the fact that decisions were based on real science. Tests were taken and plans were put into place based on the results of the tests. Supplementation was done only when required and kept to a minimum. Dr. Johnson is still working with my son, but the results so far are very impressive! He has taken my son, who was getting unbearable to be with, and turned him completely around into a child who is enjoying life again. Thank you Dr. Johnson! “Finally I had met someone who was grounded enough between the medical system and the natural way of healing"
Over a two year span I tried numerous doctors, naturopaths, Chinese medicine, and alternative health. Nothing I did could get me over this hump to allow my body a chance to recover from whatever was ailing it. I then read about Dr. Johnson and decided to give it another try. Finally I had met someone who was grounded enough between the medical system and the natural way of healing. We did hormone testing first, which assisted me hugely and then started IV therapy. Along with a food intolerance and hormone test, the IV therapy was a tool to settle things down enough to see what was really going on with my body. After spending thousands of dollars over the years, it's a blessing to meet someone so real and down to earth. Thank you!!! “It's amazing just after 2 IV sessions to see his color and zest for life improve." I have a 17 year old son who is struggling with food intolerances and health issues and has started doing IV therapy. It's amazing just after 2 sessions to see his color improve and zest for life improve. This IV therapy is for anyone and can help with just the normal daily stresses we go through. I am thankful for finally meeting such a well rounded naturopath that holds such high integrity when it comes to helping you. I have been taking a herbal combination now for 8 weeks and really noticed a difference in my energy level. Thank you for all your help, I literally haven't felt this good in 4 years! I had an appointment with Dr. Shane Johnson to discuss some issues I was having mainly due to lack of sleep. I had already gone through the menopause so it never occurred to me that this could be the reason for my insomnia. The one thing I was sure of was that I did not want to use any kind of sleeping pill. I was waking up each night around the same time to use the washroom and from then on I would experience some hot flashes and not be able to fall back to sleep. Dr. Johnson suggested that I could be suffering from a hormone imbalance, which surprised me as I thought I was through all that. He recommended an herbal treatment, one a day for a month. I was a really surprised and happy to notice a change after two weeks. I am now into my 6th week and have no more problems sleeping or falling back to sleep after a trip to the washroom. I am 54 years old and have been dealing with menopausal symptoms for a few years. The worst ones being hot flashes, sleep disturbances, decreased libido, vaginal dryness, and "brain fog". I endured these symptoms because I was not comfortable taking hormone replacement therapy (HRT) that increased my risk of heart disease, breast cancer and strokes. When Dr Johnson put me on a herbal remedy for my symptoms, I noticed a difference within a week, with my symptoms drastically reduced by month's end. I am very grateful that Dr. Johnson provided a natural option, with no side affects, that gave me a comfortable solution to my journey through menopause. As a busy Mom, business owner and Marathon runner, to say I lead a hectic life is an understatement. When I met Dr. Shane Johnson I was feeling run-down and anxious. I was frequently forgetting my vitamins, not getting much sleep and didn’t seem to have time to eat enough or well. Since starting as a patient at Aspire I have; through herbal supplements and IV treatments started getting the boost that my body needs. I have made some life changes that are helping me to feel better, get more rest and fuel myself. The IV treatments are now mainly used in my plan for Marathon training and recovery. I find that I recover and re-hydrate faster, have more energy and don’t have post-race burn out. Over all I not only feel better, but have starting making other positive changes in my life. I was one of those people whose blood work was considered normal by my medical doctor yet I didn’t feel normal at all. When I left my first appointment with Dr. Shane Johnson, I felt very hopeful about getting back to an even better “old self”. Dr. Johnson’s compassion showed me that I needed to give myself time to heal and his optimistic encouragement gave me hope. I am now able to do things I haven’t been able to do for years. Attending the Aspire Natural Medicine clinic has been one of the best and smartest things I have ever done. “I noticed a dramatic improvement in my health and weight after just 1 month"
For years I have brought up my concerns about exhaustion and no energy to my family doctors with the outcome always the same. I get sent for blood work that comes back normal and nothing being done to address my concerns. After my first visit with Dr. Johnson he listened and gave me answers. Following his direction I noticed a dramatic improvement in my health and weight after just 1 month. Dr. Johnson put me on a highly effective plan that was easy to understand and follow. Dr. Johnson has always made himself readily available whenever I have had a question or health issue. This included everything from immunization information, newborn care, or whether an appointment is necessary or not. Dr. Johnson is straight to the point, truthful and does not push treatments or a medicine cabinet full of supplements unless it is absolutely necessary. When my daughter developed a blood disorder resulting in her platelets dropping to dangerous levels requiring her to have transfusions every week and a half I did not hesitate to consult Dr. Johnson. We were very frustrated in the health care system with the lack of communication and information. After her first visit with Dr. Johnson she left feeling very confident and more knowledgeable about her condition. After following his treatment recommendations and those of her specialist her platelet counts have been much better to handle. I would not hesitate to recommend Dr. Johnson as a Naturopathic Doctor. He has genuine care and concern for his patients and takes the time to truly listen. "Dr. Johnson is not only professional and personable but very intuitive." Myself and my two daughters met with Dr. Johnson after we visited my general practitioner, who I have great respect for, but was unable to explain or offer a direction to improve our ongoing issues. Dr. Johnson is not only professional and personable but very intuitive with a wide range of information and suggestions to help improve current and ongoing health concerns. By committing to short term diet changes and supplements our health has not only improved but our quality of life on a daily basis has as well. We thank Dr. Johnson for all of his support and direction these past 6 months and look forward to our yearly checkups. "We have been trying to find the cause of our son’s multiple health problems for over 8 years - No doctor could help - except Dr. Johnson provided us with the answers!" We have been trying to find a reason for and treat our youngest son's extreme eczema, lowered immune system, asthma, sleeplessness, and behavior problems for over 8 years now. We have tried chiropractors, medical doctors, other naturopaths and none of them could tell us why our son was always sick (he was hospitalized with encephalitis at one point) and the reason behind his extreme behavior outbursts. Dr. Shane Johnson provided us with the answers we have been looking for as well as a complete treatment program. After Dr. Shane tested our son for allergies and recommended a dietary change and nutritional program, his life has changed completely for the better. Our son loves going to see him and looks forward to every visit. "Taking her in to see Dr. Johnson was the best decision I could have ever made to help my child." I've taken my 16 year old daughter to more conventional doctors and specialists than I can count and yet a day didn't go by that she didn't suffer from stomach pain and headaches. Taking her in see Dr. Johnson was the best decision I could have ever made to help my child. The first consultation took about 45 minutes which is more face time than all the other doctors put together gave us I'm sure. Now, for the first time in her life she not only feels better, but feels she has some control over her health. "I have tried countless products and consulted many doctors - with Dr. Shane Johnson I have noticed a big improvement in my skin and overall health." 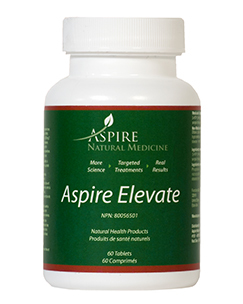 I have been extremely pleased with my experience at Aspire Natural Medicine. When you arrive for your appointments you are greeted by Kim. She is friendly, helpful and she creates a comforting atmosphere. Dr. Shane Johnson is easy to talk to, and I feel he takes the time to learn your history and listen to your concerns. I find him knowledgeable, helpful and I feel like he genuinely cares about your concerns. I value the natural approach to medicine that he takes, and appreciate that he goes the extra mile to accommodate that I live 250 km. from Red Deer. I have had acne for most of my adult life and I have been doctoring with Dr. Shane Johnson for three months and I have noticed a big improvement in my skin and overall health. We have a group of doctors that have a variety of areas of interest in medicine. Our goal at Aspire Natural Medicine is to match you with the doctor that can help you the most with your health condition. We have your health as our #1 priority…period! This means having a ND and MD on your health team and have them work together for the best outcomes for you the patient. 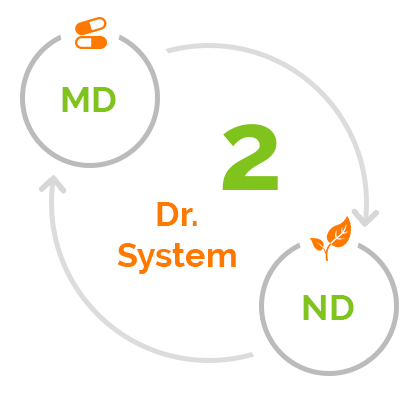 We currently are the only clinic in Central Alberta that has both a medical doctor (MD) and naturopathic doctors (ND) in the same clinic. Copyright © 2019 Aspire Natural Medicine. All rights reserved. Your mental, emotional, and physical states are all important elements in healing and disease. Addressing each aspect of a person's life, including identifying and treating the impact that stress and life events have on a patient's health, is an important component of naturopathic care.